People of the Dong ethnic group celebrate the Spring Festival in a cultural show in Guangnan Village, Guilin City, South China’s Guangxi Zhuang Autonomous Region, Feb. 10, 2019. 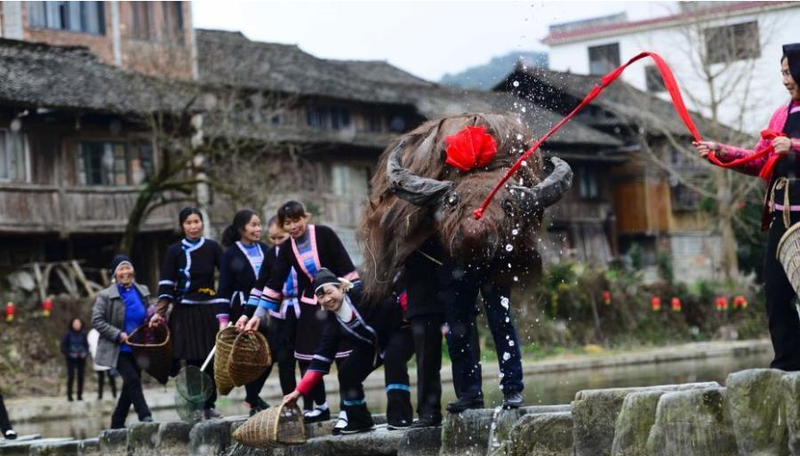 Local people donned traditional costumes to organize dragon and lion dances, group banquets, singing performances and a cattle parade to entertain tourists. People of the Dong ethnic group celebrate the Spring Festival in a cultural show in Guangnan Village, Guilin City, South China’s Guangxi Zhuang Autonomous Region, Feb. 10, 2019. 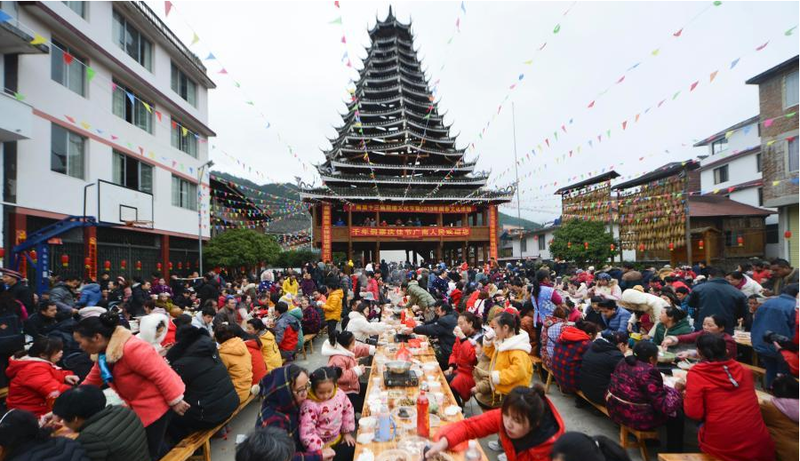 Local people donned traditional costumes to organize dragon and lion dances, group banquets, singing performances and a cattle parade to entertain tourists. People of the Dong ethnic group celebrate the Spring Festival in a cultural show in Guangnan Village, Guilin City, South China’s Guangxi Zhuang Autonomous Region, Feb. 10, 2019. 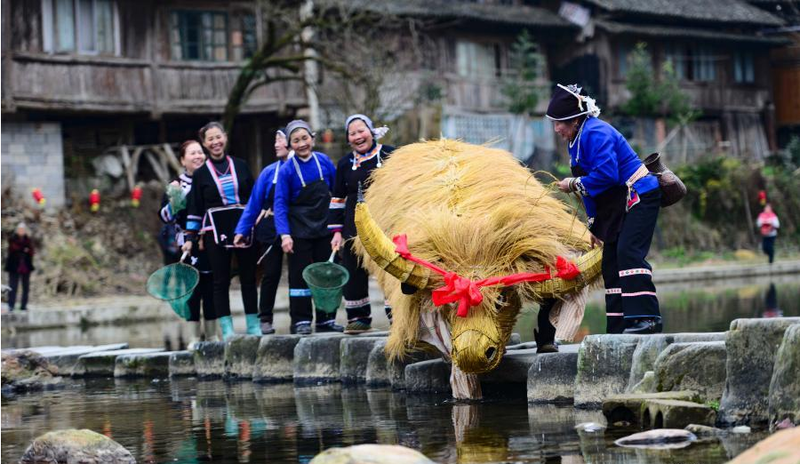 Local people donned traditional costumes to organize dragon and lion dances, group banquets, singing performances and a cattle parade to entertain tourists. People of the Dong ethnic group celebrate the Spring Festival in a cultural show in Guangnan Village, Guilin City, South China’s Guangxi Zhuang Autonomous Region, Feb. 10, 2019. Local people donned traditional costumes to organize dragon and lion dances, group banquets, singing performances and a cattle parade to entertain tourists. People of the Dong ethnic group celebrate the Spring Festival in a cultural show in Guangnan Village, Guilin City, South China’s Guangxi Zhuang Autonomous Region, Feb. 10, 2019. 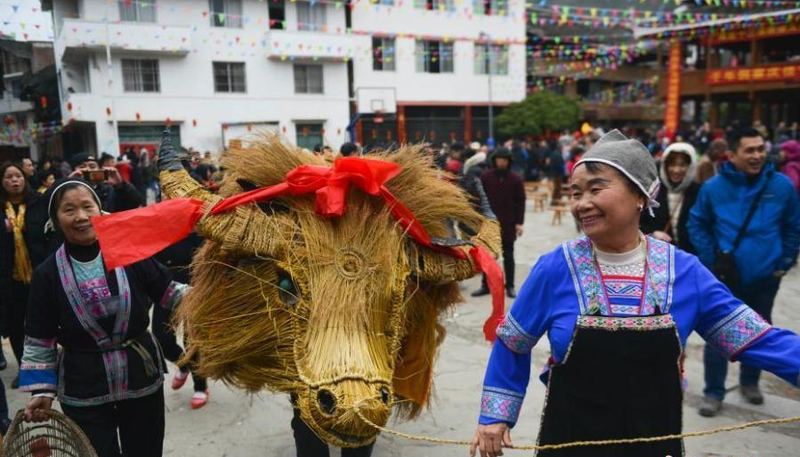 Local people donned traditional costumes to organize dragon and lion dances, group banquets, singing performances and a cattle parade to entertain tourists.